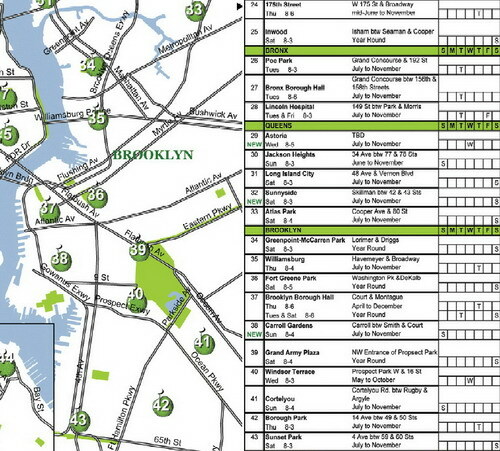 We thought we'd post the Brooklyn part of the New York City greenmarkets map above, as well as an image of the market locations below. Overall, there are 44 market locations in the city, with 16 of the markets, including the one at Grand Army Plaza on Saturdays, operating year round. The markets are said to have 250,000 customers a week during "peak season." 164 farmers, give or take, participate in the greenmarkets. 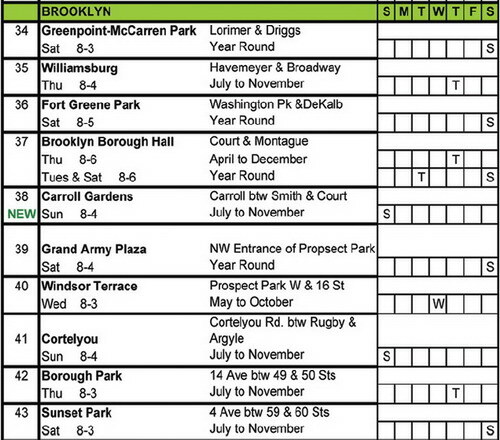 You can find more greenmarket information here.